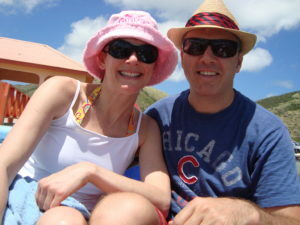 Jon has been visiting the island of Saint Martin for nearly ten years, with his first visit coming in May of 2009 to celebrate his 40th birthday with his then girlfriend (now wife). Since that first visit, Saint Martin has become an integral part of his life, visiting several times over the years with his wife and two young sons. Jon currently lives in Phoenix, Arizona, with his family and considers the island of Saint Martin a second home. They love the culture, the community, and the beauty of this small, incredible island. The people have always made them feel at home and welcome. This website is a small way for him and his family to show their support for an island and it’s people that they hold so dear. Jon has been building and running websites since February of 2016, when he started a blog focused on the Chicago Cubs from scratch. Not only did the Cubs win the World Series in 2016, but that blog — now called Cubs Insider — has grown to become one of the largest independently owned Cubs blogs. You can read more about how Jon became a Cubs fan here. Jon’s professional background is in corporate finance and accounting. He’s been a certified public accountant since 2002. He owns and operates a business advisory company called Left Mind that specializes in providing B2B SaaS businesses with strategic financial management services from startup through maturity.